Established in 1883, ​Earp Bros​ are one of Australia’s oldest companies and with age comes experience! They have worked hard to gain a position of industry leaders in hard surface materials all whilst keeping an ethical approach to business and keeping humble to their history and heritage. The Designory team recently visited their newly renovated Sydney Showroom and were dazelled, not only by the gorgeous design of the space but the products that Earp had to offer. We decided to sit down with Laura Gilbert from Earp Bros to ask her all the questions that we were dying to know about the new showroom and all the new materials it had to offer! What would you say is the goal of Earp Bros in the Australian Market? As a leading supplier of ceramic tiles to the Australian market, it is our goal to work with suppliers who share our ideals and vision. We pride ourselves on a philosophy of sustainable development and continual innovation, sharing our vision for a healthier future. We offer quality product from recognised sustainable suppliers and manufacturers to our customers who recognise the importance of this. We have some really exciting products currently available that have really pushed the boundaries in terms of design and innovation. 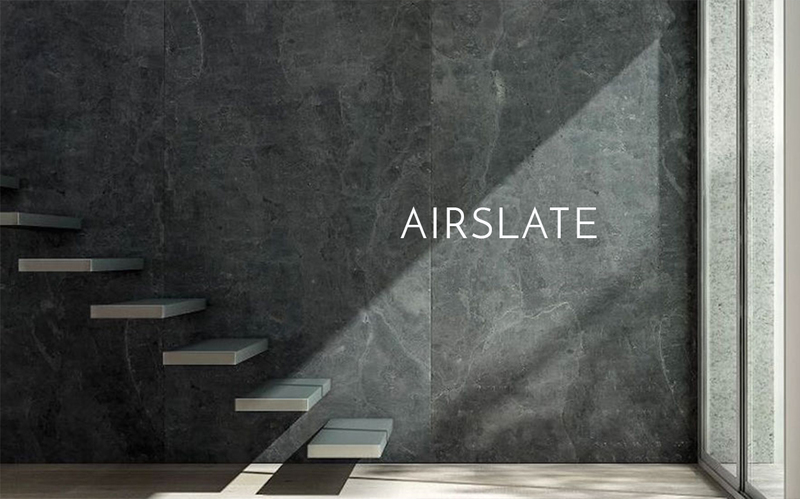 Air Slate​ is a natural stone laminate developed by PORCELANOSA Group and L’Antic Colonial. Crafted from natural slate that has been reduced in thickness to 2 – 4mm. This slim surface material is extremely light, weighing less than 5 kg a square metre, making it easy to manage and extremely flexible. This new product is set to revolutionise the architectural and interior design space. 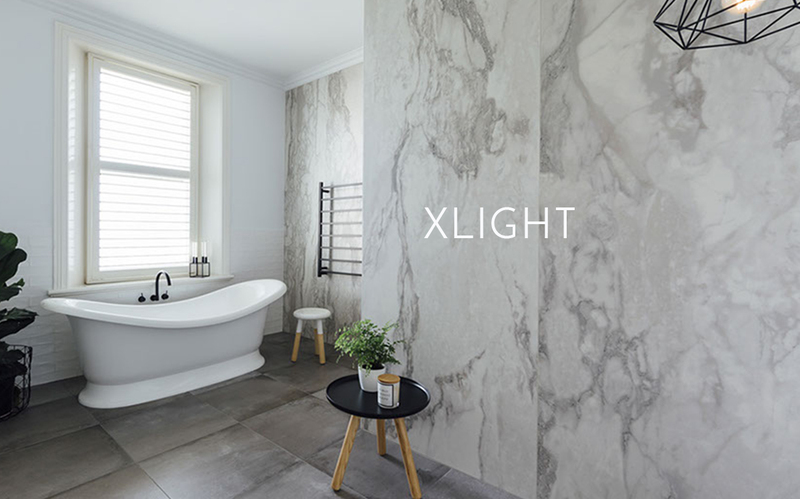 XLIGHT​ and ​XLIGHT PREMIUM​ are the next evolution in porcelain tile. URBATEK have developed large-format slimline porcelain sheets that emulate natural marbles in a multitude of sizes including massive 3m x 1m sheets. XLIGHT can be used in innovative new ways that were once thought impossible for ceramic tile. 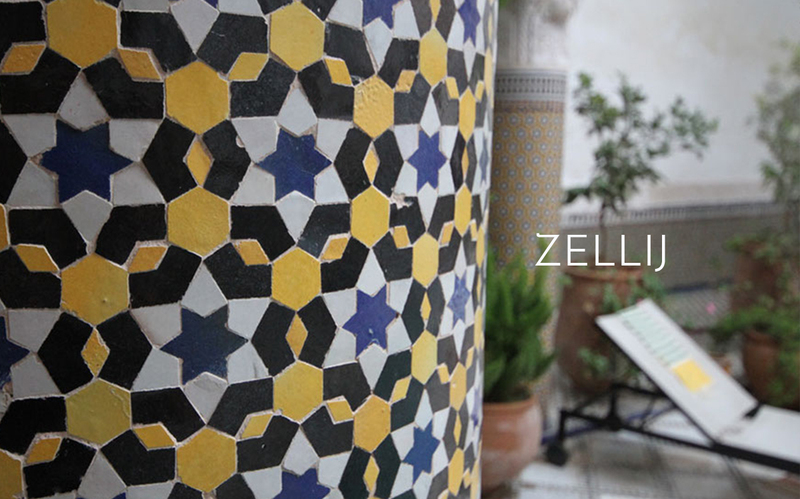 Deeply set in the fabric of Moroccan architecture, the art of Zellij has been used for hundreds of years to decorate homes as a statement of luxury and sophistication. Our range of Moroccan Zellij​ tiles includes incredibly vibrant and rich colours in increasingly complex, an age-old technique. Earp Bros are about to launch Starwood at Sydney Indesign 2017. Starwood is a range of porcelain wood look tiles that are unique in the fact that the manufacturing process carefully imitates handcrafted results. All the fine details of natural wood are reproduced with absolute craftsman-like precision so to ensure realism, right down to the wood knots and grain. This attention to detail has never been seen before in wood-look tiles and is therefore a personal favourite. Tell us about your new Alexandria Showroom, who designed it and what was the brief? 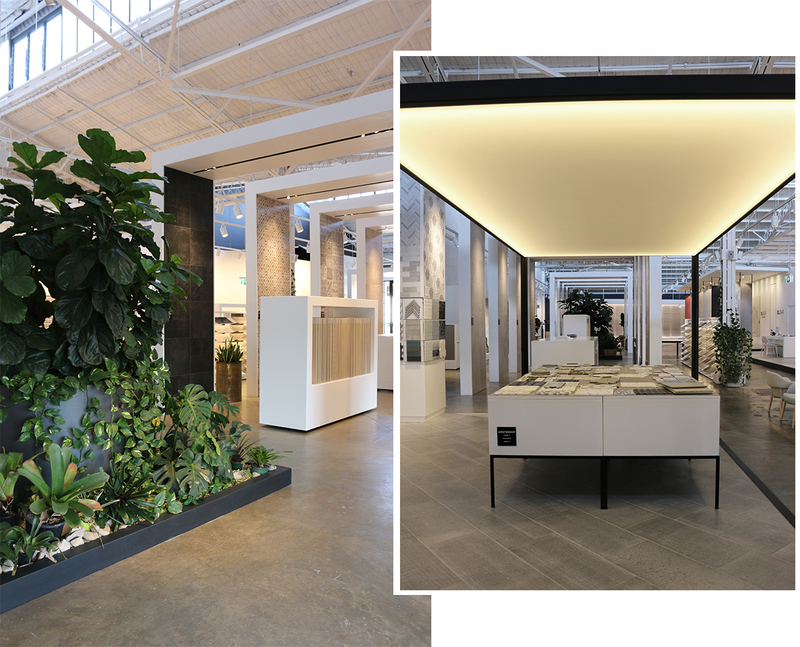 The new Sydney flagship showroom needed to display over 1000 product varieties, no easy task, but Eduardo and Maria Villa of Villa + Villa architectural firm were up to the challenge. The concept was to evolve the way the Australian design industry views transforming hard surfaces. We wanted to create a space that we could share with our clients and the end result is nothing short of astounding. The nine-metre high ceilings and rusty industrial interior have been bathed in white to create a clean and ethereal backdrop to further illuminate the magnificent range of colours, tones and textural surfaces sourced from around the globe. Products are showcased in sectional display pods to ensure that each product receives the focus it deserves.The showroom encompasses an impressive 1000 square metres of display area along with a 150 square metre sample room. The space celebrates the world’s best and most desirable high-tech hard surface options and embraces our clients very focused approach to choosing materials. The space acts as an endless source of inspiration​. Are there any trends or products you foresee to be most popular in renovations moving forward in the next 12 months? Mosaic tiles will be having a moment in the next 12 months. The metallic tile trend has been in emergence for quite a while and is only now hitting it’s stride. Metallic tiles can add a sense of drama and intrigue to any space and have the ability to transform your room into a work of art. Our ​Fractions​ range of metallic mosaic tiles are made from anodised aluminium in a stunning range of colours including ​brushed silver​, brushed gold​ and ​brushed rose gold​. 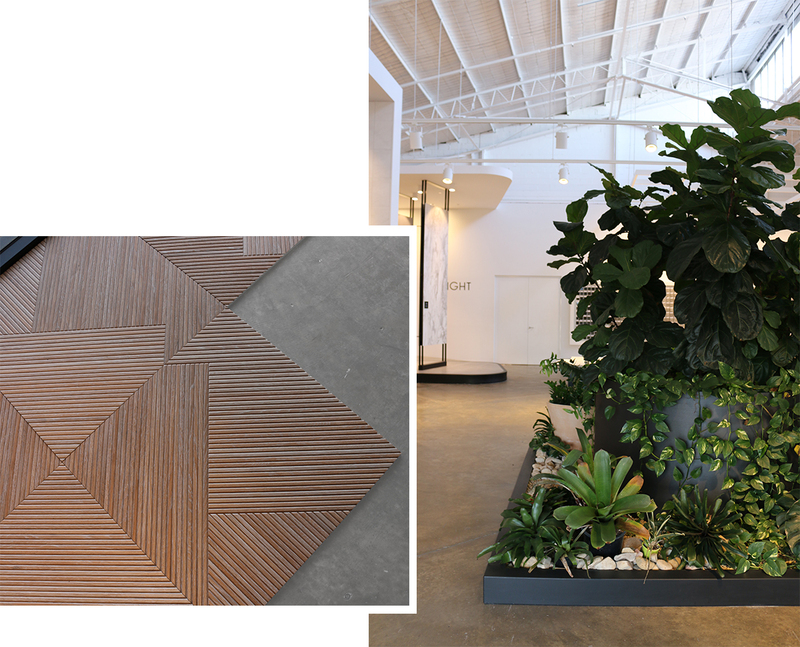 Natural ​wood mosaic​ tiles are another product set to trend in the coming months. Inspired by nature and available in organic rectangular patterns this trend will add warmth and interest to any space. These natural wood mosaics are available in tones of light blond woods right through to dark moody mahoganies.